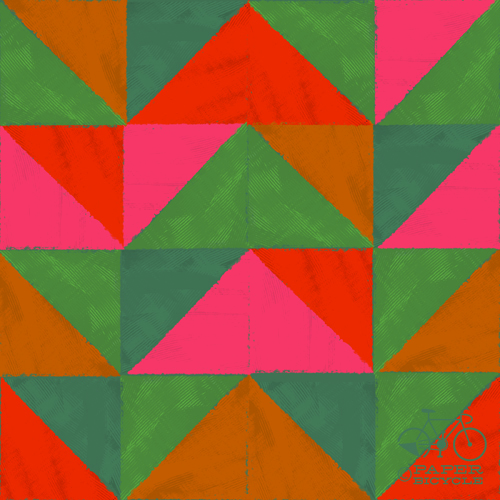 This is a triangle pattern, not to be confused with the upcoming quilt pattern that I need to make in order to catch up. I was looking at Mary Blair's artwork last night and marveling over her color use. I get into "color ruts" pretty often, so I thought it might be fun to make a pattern pulling inspiration from some of her work. I tried mimicking some paint texture with a few new tools, too.